The COMELEC commissioner plans to submit a memorandum to the investigation committee and en banc on Monday, May 16, to stop those Smartmatic personnel from leaving the country due to the pending probe on the breach of Comelec's protocols. Commissioner Rowena Guanzon says Smartmatic 'should be liable' for the hash code issue raised by Senator Ferdinand Marcos Jr. In her interview on radio dzBB on Sunday, May 15, Guazon said that she will submitting a memo where all Smartmatic personnel should not leave the Philippines while they're being investigated. If you recall on Monday, May 9, the day of elections, Smartmatic project head Marlon Garcia changed a hash code of a data package containing election results received by a COMELEC server. They said that they only tweaked the software where the letter "ñ" will appear as it is, and not as a question mark. And in that incident, Vice presidential candidate Bongbong Marcos cited the change in the hash code as a possible indication of cheating in favor of the front runner in the vice presidential race, Camarines Sur 3rd District Representative Leni Robredo. 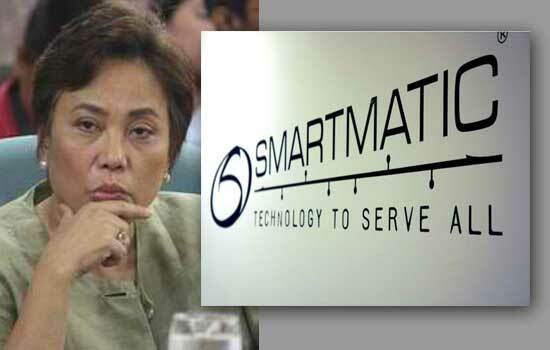 Guanzon said, "I personally, along with another commissioner, request for a formal investigation of this matter so that we can determine if Smartmatic has financial and other liabilities under their contract for breaching the protocol,"
"it touched that program without our prior knowledge and official consent," she said. The reported changed of hash code happened at the Pope Pius XII Catholic Center in Manila, which hosts the server upon which media outfits base their unofficial tallies. The allegation of election fraud was anchored by Marcos camp in the tight vice presidential race on the alleged “cheating” script, even after the Comelec had deemed it as a "cosmetic change" that did not alter the results. As of writing this post, LP VP bet Leni Robredo is still leading with 14,022,878 votes while Bongbong Marcos has 13,803,654 votes in its transmittal percentage from PPCRV at 96.13 percent. What do you think? Who is/are the real liable on this issue? Please share your thoughts below. Comments or suggestions about "COMELEC: Smartmatic should 'Stay and be Liable' on hash code issue " is important to us, you may share it by using the comment box below.